Uig-Tarbert. A ferry from Uig on Skye will take you directly to Tarbert, the Harris’ main ferry port which is ideally situated between the North and South Harris, providing a great starting point for exploring this Outer Hebrides island. The trip lasts slightly less than two hours. Ullapool-Stornoway. A ferry from Ullapool will take you to Stornoway, the largest town of the Outer Hebrides which, however, is situated on the Isle of Lewis. It is a bit longer trip as it lasts nearly three hours. In addition, you need another 30 minutes to get to the Isle of Harris from the Stornoway harbour. As mentioned earlier, you can also get to the Isle of Harris by air. There are several flights a day to Stornoway from Edinburgh, Glasgow and Inverness from Monday to Saturday and one flight on Sunday (from Glasgow). But you can also hop on the plane in Aberdeen fly to Stornoway from Monday to Friday. Bus. Although the island is sparsely populated, it has an excellent bus network which connects virtually all villages, including the smallest ones. There are several buses per day with the exception of Sunday. Car. There are plenty of car hire options on the Isle of Harris if you are not arriving to the island with your own vehicle, allowing you to explore the island’s greatest attractions and hidden gems at your own pace. Boat. Perhaps one of the best ways to experience the beauty of the Isle of Harris is to take a boat trip. There are many coastal cruises which enable you to experience both the natural beauty and historical heritage from the sea. 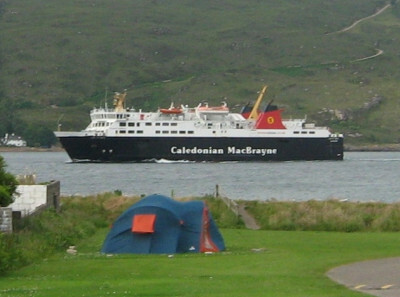 Please keep in mind that the Isle of Harris is a very popular summer getaway and as a result, both flights and ferries are often sold out very quickly. You are therefore recommended to make reservations as soon as possible if you would like to visit the island during the summer months. Also, if you decided to get to Harris by ferry from Uig or Ullapool, be sure to depart a little bit earlier not to miss the ferry.